Are you guys sick of mint yet? I know I'm not! 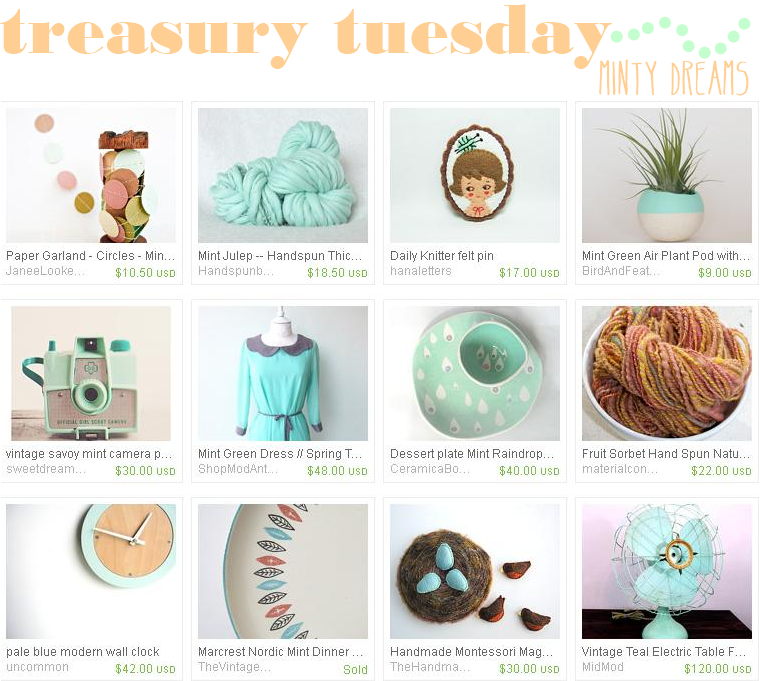 I put together another treasury of all things minty and I thought I would share the goodness with you. If you want a closer look at this treasury hop on over to Etsy and check it out! There are some pretty amazing shops over there, it's always blowing my mind. Remember your favorites, you may be happy you did next week! Hint, Hint! Happy Tuesday Loves! I have been obsessed with mint lately, so I am loving this! love this! I've been wanting a savoy camera for the longest now!